Some Bimota Motorcycle Service Manuals PDF are above the page. The Italian company Bimota is quite young, it was founded in 1973. Its founders - Bianchi, Morri, Tamburini - the name of the company Bimota is formed from the first two letters of the surnames of its founders). In fact, the appearance of the company is most guilty of Tambourini, or rather his accident on a motorcycle Honda (PDF Manuals page) in September 1972 - it was him who came up with the idea to improve the frame of a Japanese motorcycle after the accident. He managed to develop a stronger and lighter frame. And the first years of existence, the company Bimota were engaged in the production of frames for racing motorcycles. The first own motorcycle Bimota released in 1977, although the engines for their motorcycles still installed third-party manufacturers - Japanese or Italian. 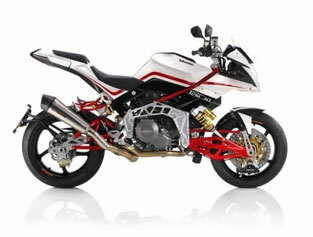 Now Bimota mainly produces sports motorcycles and "naked" motorcycles. Modern models of motorcycles company - DB7, DB6 R, DB6 Delirio, DB5R, DB5S and Tesi 3D, the newest model of the sports bike - DB7. All motorcycles of Bimota are distinguished by their angular refinement (angularity is a feature of style) and high price. 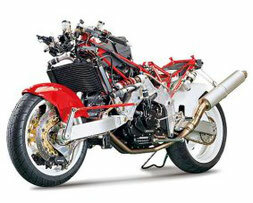 The most powerful models are equipped with Ducati (Manuals PDF page) engines. Read - BENELLI Motorcycle Manuals PDF.